On 2 December 2002, Airbus A320-232 c/n 1862 flew first with Airbus test-registration F-WWDZ. The Airbus A320-232 was designated for leasing company ILFC. On 10 October 2002, the Airbus A320-232 was registered EC-IIZ in Spain with Spanair. On 27 January 2012, Spanair ceased operations. On 15 February 2012, the Airbus was re-registered EC-EUG by ILFC and the next day flown to Dublin for storage. On 28 June 2012, the Airbus was registered EC-LRY with Vueling as holder and the next day flown to Barcelona. 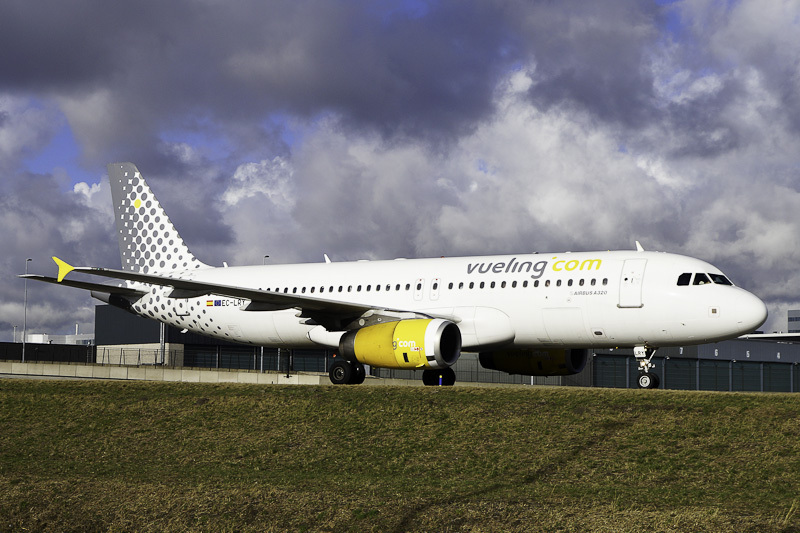 In May 2014, ownership of the Airbus A.320 EC-LRY changed from ILFC to the leasing company AerCap, as before with Vueling as operator of the aircraft. On 24 February 2017, Airbus A320-323 EC-LRY was seen on Taxiway Quebec at Amsterdam Airport Schiphol.